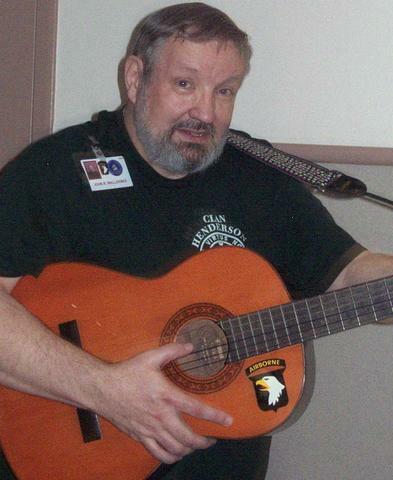 I am a seventy-two (72) year old, retired, divorced (no children), "undiscovered" aspiring amateur singer/songwriter/actor, a member of The Church of JESUS CHRIST of Latter-day Saints (i.e., the "Mormon" church), and I once was a soldier in the United States Army, where I served during the war in the old Republic of Viet Nam with the First Signal Brigade, and the famed "Screaming Eagles" of the One Hundred First Airborne Division. During my adventurous youthful years as a soldier in the United States Army, I also had the privilege of serving in or visiting Germany, Korea, Israel, Japan, Australia, Thailand, Ireland, Greece, India, and Mexico, and in one instance, laterally circumnavigating the globe, having on one trip, departed from Saigon, Republic of Viet Nam, flying due West, and ultimately concluding my trip when arriving in Cam Ranh Bay, Republic of Viet Nam. I compose original lyrics and melody for mostly Country/Western/Folk songs, which I perform "by ear", singing and accompanying myself by strumming simple chords on a classical guitar. Proudly claiming biological ancestry from Vikings and Anglo-Saxons, I also wear the tartan kilt of an ancient Scottish clan. If you're ever in Salt Lake City, Utah, please visit the Viet Nam Memorial located on the grounds of the Utah State Capitol, which I helped build, having served on the committee that designed, financed, and constructed it. The community where I reside is located in the mountains and high desert of the historic "Outlaw Trail" country, where the state lines of Utah, Colorado, and Wyoming meet. Currently, due to my declining physical health, my favorite activities are now restricted to watching Internet broadcasts on my television, and/or participating in Internet discussions of all sorts of topics. In my chosen religious faith (I am a convert), we are taught in The Church of JESUS CHRIST of Latter-day Saints (i.e., the "Mormon" church) that God created MANY worlds, much like this one, and many of those worlds are populated with His offspring, just as this one is, so any intelligent extra-terrestrial beings would probably look just like us, since WE are all in the image of our Heavenly Father, even though animal and plant life on those planets might be starkly different from what we're accustomed to. The eminent scientist, Albert Einstein, theorized (or so I understand - - - I readily admit my limited formal education) that Space and Time are (curved?) parallel linear continuums, and therefore, it's possible that if and where those lines intersect, interplanetary or interdimensional transfers can occur. There are many unexplained phenomena in this mortal dimension of our world, and if we can communicate with intelligent life on other worlds and/or other (parallel?) dimensions, then I say, let's go for it! There's so many things yet waiting to be discovered and taken advantage of. Onward, into an unknown adventure!